Man, I'm getting old - Kera is band I've always been loosely familiar with - see, they rose out of the ashes of this band Thanatic Eyes who used to be a pretty big deal in the French scene. This new incarnation is at times stunning. 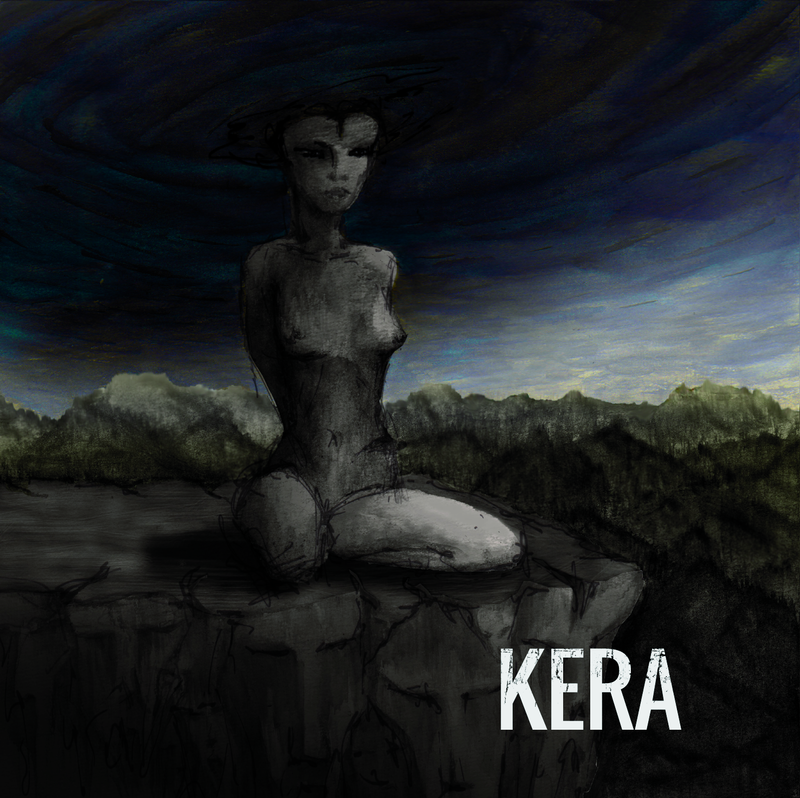 Though yes, Kera are still very much a nascent act, the hefty dose of heavy metal destruction that defines this record suggests, to me at least, that Kera are going to take you on the ride of a lifetime. I mean yeah, I'm biased - I used to get drunk with the singer and drummer of this band all the time, but the fact of the matter is that Kera has a distinct artistic identity. The way they manifest their grooves and craft a unique sonic assault is impressive. The bands vocalist Flo has a great sense of metal vocals too, there is a sense of primal rage that makes Kera far to much fun to listen too. Pummeling and deceptively technical Kera is the kind of act who can rise from the French scene and take the world by storm. Will you lend them your ear?